Ladies and Gentlemen, Mr. President, Professor Wernerfelt …. The Copenhagen Business School has a long-standing tradition of conferring honorary doctorates to scholars who have made essential contributions to our understanding of the business firm — of its rationales, functioning and consequences. This, of course, is hardly surprising: Whether it is micro or macro-oriented, management research, and the teaching of management principles, inherently revolves around the business firm, or, more broadly, the organization. So, to reflect this centrality of the business firm as a unit of analysis, in the past CBS has conferred honorary doctorates on the two Olivers of the economics of the firm, Hart and Williamson. Obviously, we have also honored scholars who have been pre-occupied with the business firm in different ways than Hart and Williamson, such as Jay Barney. Today we are honoring a scholar — namely the J C Penney Professor of Management of the MIT Sloan School of Management, Birger Wernerfelt — who has also placed the business firm at the center stage of his work, and who has addressed questions very similar to those addressed by Hart, Williamson and Barney. From a research point of view, we can ask numerous questions regarding the firm — what makes them behave in certain ways, what explains their size, why they contract in certain ways with suppliers and so on and so forth. It seems clear that some questions are more fundamental than other questions. The question of why firms are different (and how this matters for their performance) is one such question. It is fundamental to a number of macro-management fields, notably strategic management, organizational studies and international business. The question of why firms exist—that is, the questions of why we have firms (and therefore managers) and what determines their scope, originally posed by Ronald Coase, almost eighty years ago—is another such fundamental question. Both questions sound simple; they are not. I once gave the elevator pitch on my own thinking on the issue of why firms exist to a practitioner—who stared back at me in disbelief and declared that “of course firms exist; otherwise we couldn’t earn a buck.” The practitioner had a point, of course, but it is more complicated than the “need to earn to buck”. In fact, it is fair to say that, after almost eighty years of research on the issue, we still are some way from having a watertight, generally accepted theory of why firms exist and what explains their scope. These are some of the most consistently challenging questions in economics and management research, and it is interesting to note that we still don’t have a fully satisfactory theory of the central object of inquiry in management research. (We can discuss whether this is necessarily a huge problem—something similar may be said of our knowledge in physics of the fundamental building blocks of the universe and the forces that keep regulate their behavior). Relatedly, our thinking on the other fundamental issue I mentioned, why firms are heterogeneous and how this matter, is basically still in its infancy, although much progress has been made lately in strategic management research on this issue. Professor Wernerfelt holds the distinction of contributing fundamentally to both the economics of the firm and to strategic management theory—the two fields that are taken up with the core questions I mentioned earlier. 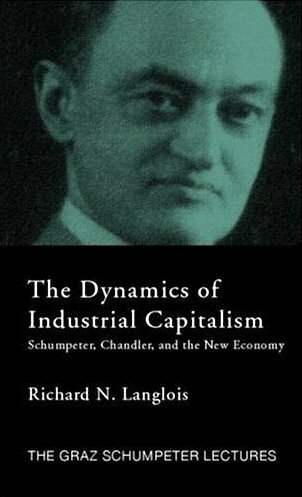 In fact, Professor Wernerfelt’s thinking on firms as bundles of heterogenous resources was instrumental in launching strategy’s now dominant perspective, the resource-based view of the firm. It is not going too far to say that Wernerfelt is one of the founding fathers of the field of strategic management as we know it today. Specifically, almost thirty years ago (in 1984), Wernerfelt’s nine pages long paper, “A resource-based theory of the firm,” was published in the Strategic Management Journal. It grew from Wernerfelt’s dissatisfaction with the strategy teaching material that he was told to cover in his teaching at Michigan. 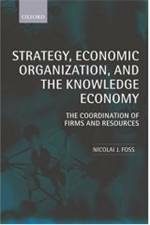 It proposed a new way of conceptualizing firms and thinking about competitive advantage and diversification. To put it in very simple terms, the paper asserts that firms are fundamentally heterogenous in terms of their underlying resources; firms should base its strategy based on its strengths, and tomorrow’s strengths are likely based on today’s strengths. This sounds familiar, doesn’t it? That these insights represent today’s mainstream thinking is very much due to Wernerfelt’s paper. Wernerfelt’s nine-pages long paper literally brims with insights and ideas. Many have been unfolded in later research, such as in Wernerfelt’s research on diversification with Cynthia Montgomery. Others have been given less attention. For example, the argument in that paper that there is a fundamental duality between a firm’s position in resource space and its position in product space has not yet been fully unfolded. At any rate, this is one of the most cited papers in management research and in social science in general, and it has spawned an enormous subsequent literature. As Wernerfelt himself noted in 1995, “I put the stone on the ground and left it. When I looked back, others had put stones on top of it and next to it, building part of a wall.” Because the paper is literally foundational, it is impossible today to teach strategy without drawing on the perspective that Wernerfelt launched with this paper. Wernerfelt has also contributed fundamentally to the other key issue I mentioned, that of why firms exist. Wernerfelt has forcefully argued that extant theory does not explain the nature of the employment relationship. His “adjustment cost theory” is, among other things designed to do that. The theory neatly integrates issues of asset ownership with issues of bargaining costs. In addition to making fundamental contributions to strategic management theory and the economics of the firm, Professor Wernerfelt has also made important and highly cited contributions to marketing theory (e.g., to umbrella branding and complaint management). Throughout his career, his work has appeared in the major journals in strategy, marketing and economics. Although Wernerfelt’s body of published work may look somewhat heterogeneous in terms of the questions it deals with, closer inspect reveals many shared themes; for example, it is easy to see how one gets from heterogeneous resources to diversification to umbrella branding. But, first and foremost, Wernerfelt’s work is characterized by a particular style, more characteristic of applied math and economics than of much management research. This is, if you like, the shared, rare resource that has allowed Wernerfelt to diversify across academic fields. Although Wernerfelt has done his share of empirical work, he is first and foremost a theorist. His approach as a theorist, both in the verbal and in the mathematical mode, is to seek the smallest number assumptions that are needed to generate an interesting conclusion. He looks for the starkest, barest, model that has the desired result, providing the answer to a well-defined, but not necessarily narrow, question — a “stylized fact.” This approach is not one that has been characteristic of management research in general. However, it is clearly increasingly visible in the management journals. So, here, too, Professor Wernerfelt has been a pioneer. Professor Wernerfelt, CBS salutes your important accomplishment and pioneering contributions! Thank you. Congratulations to Prof. Wenerfelt and thanks to you. I save both his paper and your nominating speech to a Sociology folder on my hard drive. They are worth keeping close.